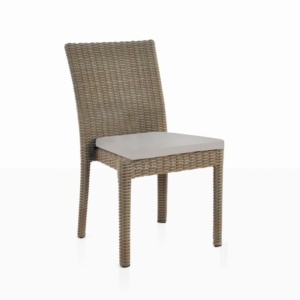 The Hampton wicker dining chair goes well with so many different styles of tables. 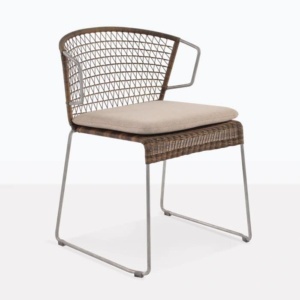 Its classic style and pebble colour mix well with A-Grade teak, reclaimed teak or concrete tables depending on your personal style. 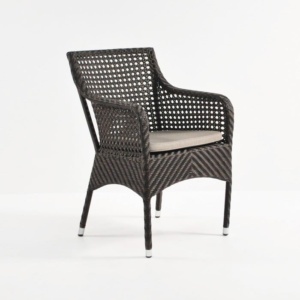 It’s made with Viro® outdoor wicker and includes a Sunbrella® cushion. 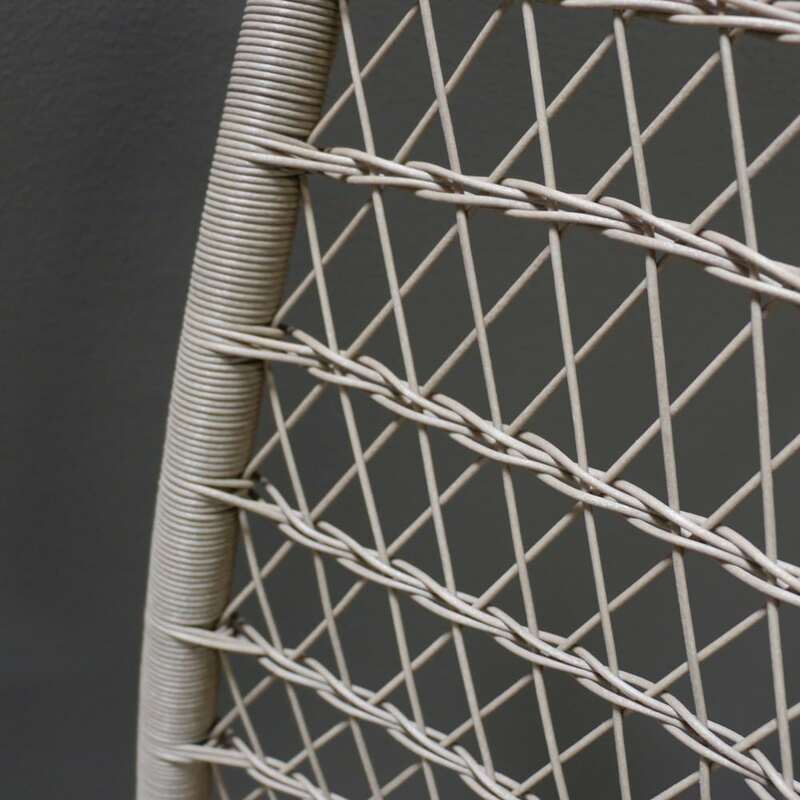 Whether you have a deck, balcony, patio or garden this chair will complete your dining area. 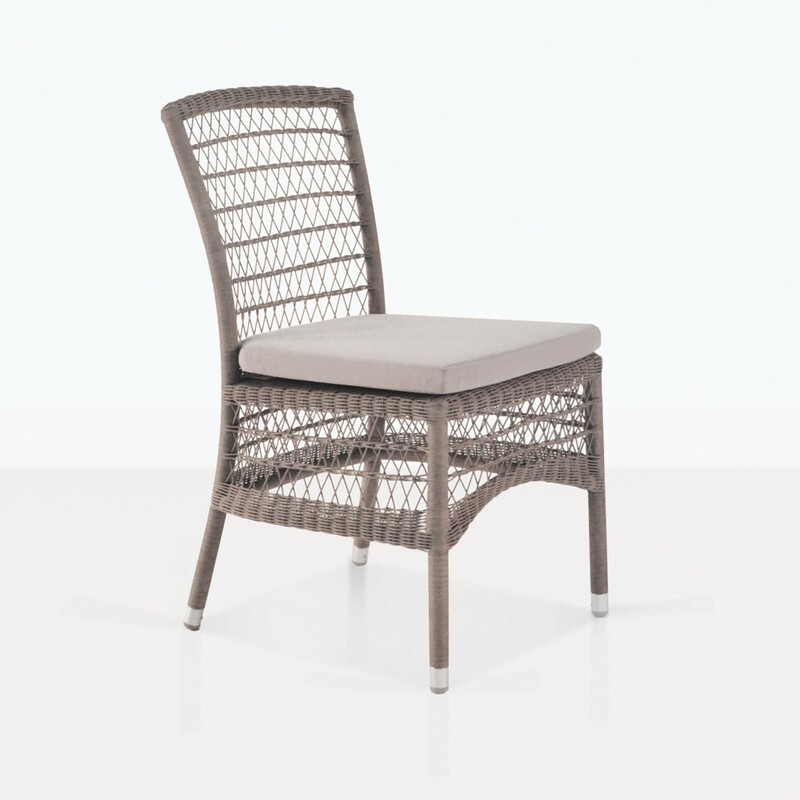 Enjoy many meals while sitting comfortably on the Hampton dining chair. We also have a Hampton arm chair in pebble and new colour, chalk.